Throughout the four years of my daughter’s life, I have been inspired by the many moms I have met for whom motherhood has ignited a passion to serve vulnerable families. I have felt this way myself since my daughter’s birth, and advocacy has been a guiding light in shaping her growing awareness. Alleviating diaper need is the cause we have chosen; in recognition of Diaper Need Awareness Week (September 24-30), we hope that our story inspires other families to give back in this easy and effective way. Shortly after my daughter’s second birthday, I discovered the amazing GOOD+ Foundation, which works tirelessly on behalf of families in need by providing donated baby gear and instruction and services. When I asked how we could best help, the response was clear and immediate: by collecting diapers to supplement the many families in their care who needed them. According to the National Diaper Bank Network, one in three American families cannot afford enough diapers to keep their babies clean and healthy. Without sufficient diapers, babies cannot be changed with the proper frequency, leading to rashes, infections and other urological issues. Diaper need ripples through family life in more lasting ways. Without diapers, kids can’t attend childcare and parents can’t work. Diaper need was even found by a Yale School of Medicine study to be more predictive of maternal depression than food insecurity. Across the country, diaper banks heroically meet this need by distributing diapers, most of which are donated by individuals, through social service agencies. I started out by posting on my local Facebook moms group that I was collecting leftover diapers for GOOD+ and would come to pick them up from anyone interested. My daughter and I set out day after day, putting the diapers under our stroller while we were out and about. Word spread about our cause, and we were able to get other local organizations involved. 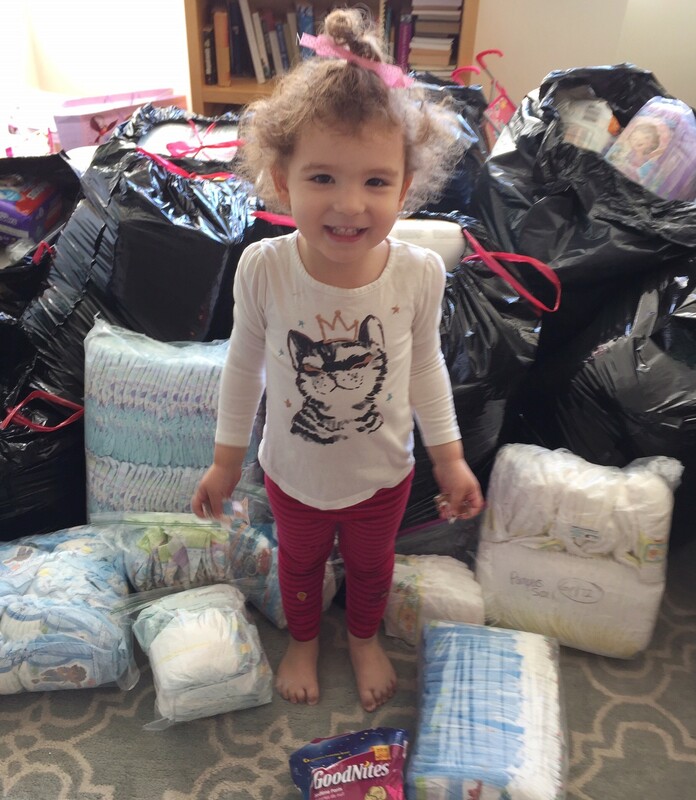 Over the past two years, it has been our privilege to collect roughly 25,000 diapers and other supplies for families in need. The generosity of our donor moms continues to astound and motivate me, and my daughter understands firsthand what it means to care for our neighbors. Supporting your local diaper bank is a simple and powerful way to lift a family up to the path where it belongs. For more information, please visit https://nationaldiaperbanknetwork.org. Audrey Symes is an investment researcher who was inspired to become an activist for the fight against diaper need in the US and beyond. 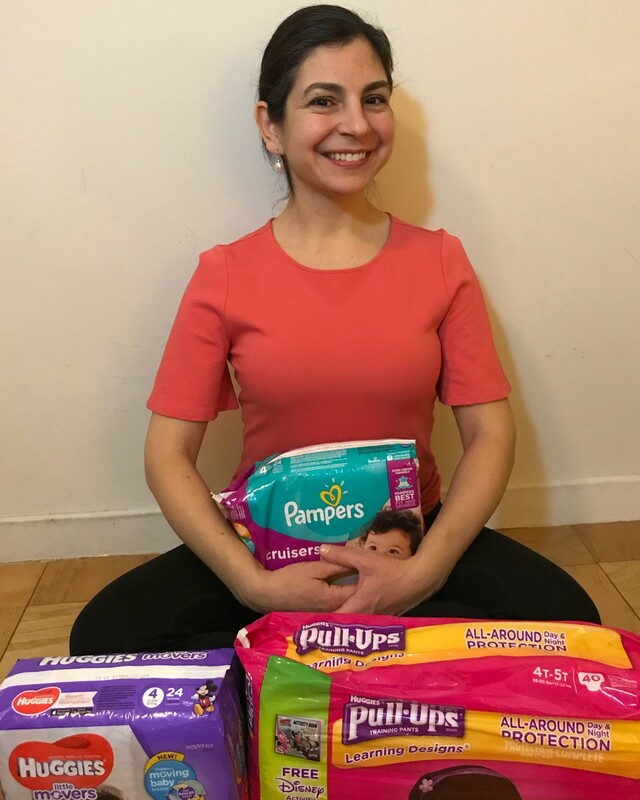 She is volunteer for the GOOD+ Foundation, the National Diaper Bank Network, and a member of Mindr, which brings together socially-conscious moms and thought leaders and innovators of all kinds. She is a co-recipient of the Public Policy and Advocacy Award from the Association of Junior Leagues International for her work with the Junior League of San Francisco and the California State Public Affairs Committee. She holds a BA in Economics with Honors from Stanford University and an MA in Economics from New York University. She lives in Manhattan with her husband and daughter.